Mountain Wildflower Honey is a thick, golden, rich tasting honey full of mountain sweetness. Need a little bit more honey? This 3 lb jug is perfect for you. Great for Holiday Baking too! 3 lbs. SAVE $1.00 per 3 lb. Honey Jug when you order more than one, shipped to one address. Love the size and most of all love the taste!! 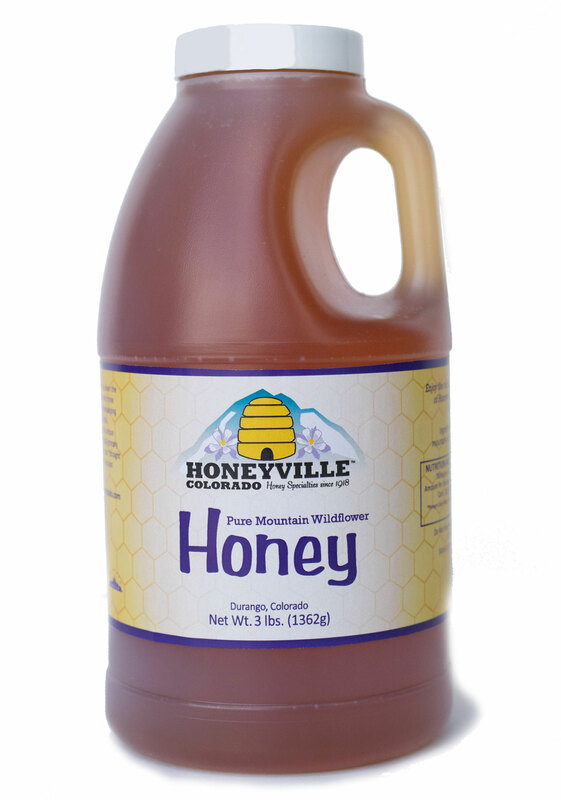 I have been buying Honeyville Honey for many years. 1st time was on a summer vacation. Just recently purchased online. The honey is like no other. Always pure goodness! Ordering online was easy and shipping was fast. The whole experience was A++. Wonderful honey, wonderful company with great customer service. My whole extended family loves your honey. I share it with the kids & grandkids. My son loves the wildflower honey. His favorite is putting it in cereal and on peanutbutter sandwiches. We used to live in Pagosa, so miss being able to visit the shop. Shipping is fast though so we don't have to be without for long! Very friendly in person and on the phone. We go through a lot of honey and this is delicious. 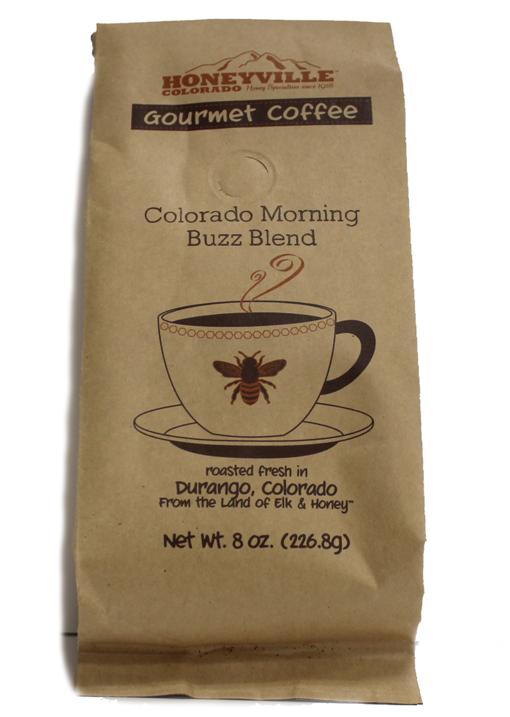 We visited your Durango tour last year and have been buying the honey ever since. My husband and I were vacationing in Ouray, Colorado a few months ago and we drove past yalls store in Durango. We stopped and bought a few things, one being a small jar of raw honey. My husband raved about the honey and said it was the BEST honey he's ever had! We went through the small jar very quick so I had to order a 3 lb jar. The customer service was wonderful and I received my honey less than a week later! 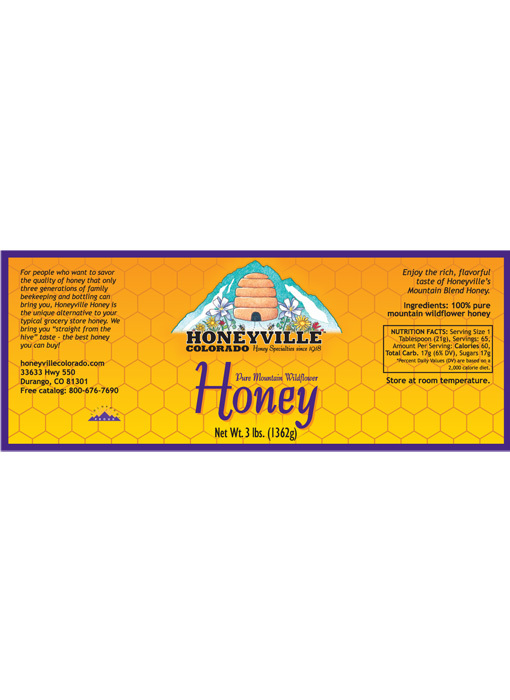 I will definitely continue to buy honey and many other products from Honeyville!! This is my "go to" honey for all purposes including baking. I love the flavor! I live in New Mexico so I order online and have it shipped without any problems. Have been buying your honey for 3 or 4 years. 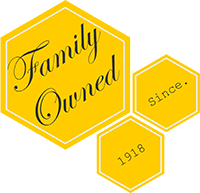 Very good honey, fast delivery and good service. 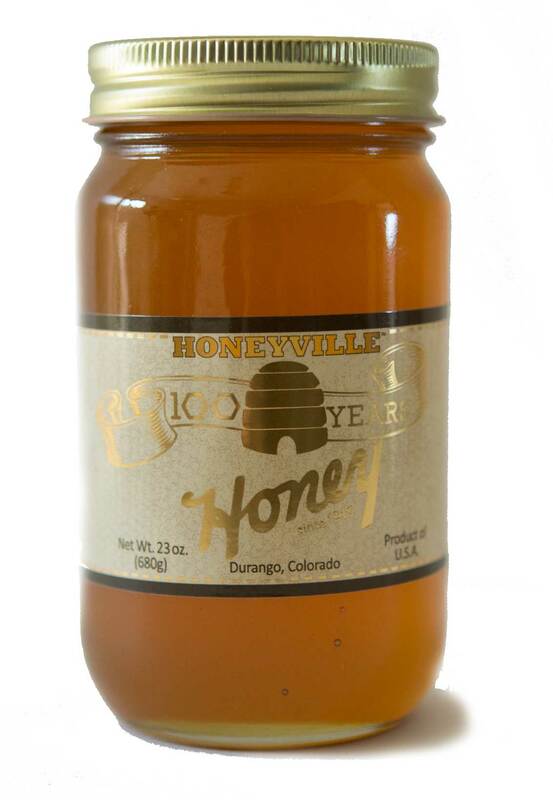 Would recommend honeyville to anyone.